IS YOUR VEHICLE AT UNDO RISK? CLICK HERE TO SEE! ULTRASTART 430 Car Alarm & Keyless Entry. This system is a nice, basic car alarm system, with keyless entry, built in 2 stage shock sensor & more! Up to 200 Ft. Range! Only ...59.95! THE ULTRASTART 600 Full Featured 3 Channel System. but no desire to add a remote starter!. ULTRASTART 1250 Remote Start & Keyless Entry. ULTRASTART 1600 Remote Start & Keyless Entry. Like the 1250 This system is for those who want a great remote start system, but no desire to add an alarm. EXTENDED RANGE!!! Up to 1500 Ft. Range! Only ...99.95! This Car Alarm/Keyless Entry/Remote Starter system features 2 auxiliary outputs which allow you to add the options you want (i.e remote window rollup/rolldown, trunk release activation, etc. Dual stage (built in!) shock sensor that is independently adjustable to eliminate false alarms & Lots More!. ...99.95! & Alot More. Looking For The Best Thing Going? THIS IS THE SYSTEM FOR YOU! CLICK HERE FOR THE BEST SYSTEM FOR YOUR MUSTANG! Keyless Entry system with built in relays for Parking Light Flash, Built In Door, lock unlock relays, Start Disable output, & 2 - 4 button remotes & More,...44.95! With built in relays for Parking Light Flash, Built In Door, lock unlock relays, Start Disable output, & 2 - 4 button remotes & Domelight Survalince/Drivers Door Priority circuits added!...49.95! REMOTE KEYLESS ENTRY *PANIC MODE *CARFINDER MODE *FLASHING LIGHTS *130 DECIBEL 6 TONE SIREN *IGNITION LOCK/UNLOCK *PASSIVE OR ACTIVE ARMING MODES *STARTER DISABLE OUTPUT *REMOTE ANTI-HIJACK MODE! *WINDOW DETERENT STICKERS *DASHBOARD MOUNTED L.E.D. *LIFETIME LIMITED WARRANTY, AND MUCH, MUCH MORE! BUILT IN DOOR LOCK RELAYS FOR MOST APPLICATIONS!! All Of The Great Features Found On The Micro 8008 Car Alarm System Plus The CS2001! A Deluxe Remote Starter With Veriable Run Timer (15 min 30 min 45 min), Built To Install By The "BACKYARD INSTALLER", Including A Host Of The Most Desired Features! REMOTE KEYLESS ENTRY *PANIC MODE *FLASHING LIGHTS *130 DECIBEL 6 TONE SIREN *IGNITION LOCK/UNLOCK *PASSIVE OR ACTIVE ARMING MODES *STARTER DISABLE OUTPUT *BUILT IN 2 STAGE SHOCK SENSOR *REMOTE ANTI-HIJACK MODE! *WINDOW DETERENT STICKERS *DASHBOARD MOUNTED L.E.D. *LIFETIME LIMITED WARRANTY, AND MUCH, MUCH MORE! SALE PRICED AT ONLY: 59.95! REMOTE KEYLESS ENTRY *PANIC MODE *FLASHING LIGHTS *130 DECIBEL 6 TONE SIREN *IGNITION LOCK/UNLOCK *BUILT IN DOOR LOCK RELAYS *PASSIVE OR ACTIVE ARMING MODES *STARTER DISABLE OUTPUT *REMOTE ANTI-HIJACK MODE! *WINDOW DETERENT STICKERS *DASHBOARD MOUNTED L.E.D. *LIFETIME LIMITED WARRANTY, AND MUCH, MUCH MORE! The MICRO ALARMS START NR2 "ADD ON"
Remote Start Slave Unit (NO REMOTES!). Add To ANY Aftermarket Car Alarm With A (-) Aux. Ouptput. This Unit Does Not Come With It's Own Remotes, But Relies On YOUR Current Remotes To Control It. Now You Can Cool It Off In The Summer, And Warm It Up In The Freezing Cold Of Winter, Without Breaking Your Wallet! Click On The Links To Your Right To Take Advantage Of The Lowest Price ANYWHERE! Now Only...54.95! Marksman M3 Basic Security system with Keyless Entry. Quickly unlock your doors and trunk by remote control. Great for bad weather or when your hands are full. Built in relay for Parking Light Flash, dual stage shock sensor, Dome Light Supervision, Aux output for Trunk release, ...59.95! A small and innovative Remote Transmitter Pager with Alarm and Remote Starter. The M11 will instantly alert you should your vehicle be violated. The bright LCD display on the Transmitter accurately monitors doors open/closed, alarm armed or disarmed, hood and trunk open/closed, and hard impacts to your vehicle. It even advises whether the vehicle's engine is running, & Just Too Much More To List Here! The LCA 2200 "ADD ON" 1/2 MILE RANGE PAGER/MONITOR. 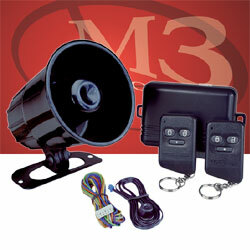 Add To ANY Aftermarket Car Alarm To Enhance Your Exisiting Security, Or Can Be Installed As A "Stand Alone" System. Only...89.95! REMOTE KEYLESS ENTRY *PANIC MODE *FLASHING LIGHTS *130 DECIBEL 6 TONE SIREN *IGNITION LOCK/UNLOCK *PASSIVE OR ACTIVE ARMING MODES *STARTER DISABLE OUTPUT *2 LONG RANGE TRANSMITTERS! *2 WAY FM REMOTE START AND FEATURE CONTROLS*DASHBOARD MOUNTED L.E.D. *LIFETIME LIMITED WARRANTY, AND A WHOLE LOT MORE! DELUXE REMOTE KEYLESS ENTRY *PANIC MODE *FLASHING LIGHTS *130 DECIBEL 6 TONE SIREN *IGNITION LOCK/UNLOCK *BUILT IN DOOR LOCK RELAYS * MULTIFUNCTIONAL TRANSMITTER *PASSIVE OR ACTIVE ARMING MODES *STARTER DISABLE OUTPUT *MADE BY THE FOLKS AT VIPER! *SOLID FM, "NO OBSTRUCTIONS" SIGNAL FOR UP TO 2000 FT. RANGE! *DASHBOARD MOUNTED L.E.D. *LIFETIME LIMITED WARRANTY, AND SO MUCH MORE! NO KEY USED TO BYPASS REQUIRED! 10.RS-PLDATA 1998+ GM Passlock II Bypass Learnable $59.95 1. BUY NOW! Click on this banner to talk about it live! "Want Us To Send A Payment Invoice To Make It Easier For You?" CLICK HERE FOR ORIGINAL PAGE!